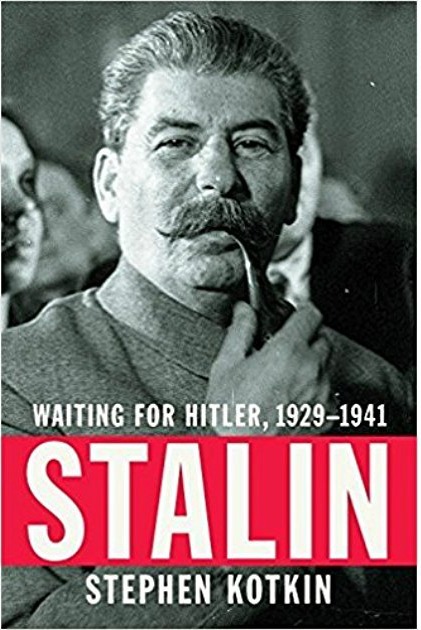 Kotkin says Stalin represents a “gold standard” in “personal dictatorship”, and more archival documents are now accessible, so now a definitive biography of Stalin can finally be written. He takes Isaac Deutscher’s three-volume biography of Trotsky as a model for his own work. Published in 2015, Kotkin’s first volume was titled ‘Stalin: Paradoxes of Power 1878 – 1928’. Volume 2, published in November 2017, is titled ‘Stalin: Waiting for Hitler, 1929 – 1941’. Kotkin’s book on Stalin is being promoted by the most prominent of U.S. institutions which form the intellectual core of imperialism: the Hoover Institute, the Council on Foreign Relations , and several prestigious universities, where he has delivered many lectures, besides public libraries and book stores. Both of these two volumes have been reviewed by New York Times, Washington Post, Wall Street Journal and the Guardian (UK), and the reviewers agree Stalin was a “murderous despot”. Kotkin is an engaging speaker – folksy, witty and charming. 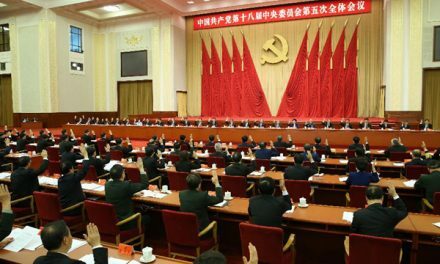 The New Economic Policy (NEP), replacing war-communism was adopted in 1921 by the Bolshevik government to jumpstart the economy that was so severely disrupted by the revolution and the Civil War. It allowed the peasants to sell their surplus grain in the market for profit. The situation improved considerably with the NEP – agriculture and industrial production both revived by 1925. On the other hand, profits from the market trading of grain had enriched and also politically emboldened the Kulaks. Bolshevik Party history states “in answer to the kulaks’ refusal to sell their grain surplus to the state at the fixed prices, the Party and the Government adopted a number of emergency measures against the kulaks in 1928. They applied Article 107 of the Criminal Code empowering the courts to confiscate grain surplus from kulaks and NEP profiteers in case they refused to sell them to the state at the fixed prices, and granted the poor peasants a number of privileges, under which 25 per cent of the confiscated kulak grain was placed at their disposal. These emergency measures had their effect: the poorer and middle peasants joined in the resolute fight against the kulaks; the kulaks were isolated, and the resistance of the kulaks and the profiteers was broken.” Collectivization could now begin. Kotkin ignores real history, instead invents one of his own. Poor Peasant Committees, formed in the revolution, now moved to confiscate kulak lands and animals for collectivization, but it was not without a fight put up by the kulaks, who had guns, goons and money on their side. The better off sections of the middle peasants also joined the kulaks, so it was a class-war between the 18 – 20 percent upper crust of the peasantry pitted against the lower around 80 -82 percent. This upper crust of peasants owned more than half of all farm animals, and since they could not sell them, they chose to slaughter their animals and burn their seeds in storage sheds rather than give it to collective farms. For these crimes, 400,000 kulaks and their families, not all of the kulaks, were forcibly moved to work camps, “gulags”, where they suffered in the primitive conditions, and many died. But these were work-camps, not concentration camps, in which the Nazis killed people deliberately. Excesses in the repressions certainly occurred, but not because Stalin wanted be a “despot”, as Kotkin alleges, but due to urgency of the moment, when the military plot was revealed in 1937. According to former foreign minister Molotov, “…But we could have suffered greater losses in the war – perhaps even defeat – if the leadership had flinched and had allowed internal disagreements, like cracks in a rock…”. The question was not if, but when the USSR would be attacked. That averages 100,000 arrests per year in a country of 170 million, with intense class struggles, building socialism and fighting a powerful foreign invader. How does this compare with the US? In 2010 alone, the number of arrests in the US for all crime categories was 13.1 million. The average number of arrests per year 1990-2010 period was approximately 11 million. It is true that 634,000 executions do not have a parallel in the U.S. Civil War. However, the U.S. was not surrounded by powerful hostile countries preparing to invade and destroy it, as was the U.S.S.R. in 1917 and over most of its its 74-year existence. The U.S. population in 2010 was approximately twice that of the U.S.S.R. in 1937. The arrest rate in the U.S. in 2010 was four percent, in a year of comparative peace and security in a wealthy capitalist country. In the U.S.S.R, during the worst year when several dangerous conspiracies were uncovered, and when Nazi Germany was preparing for attack, the rate of arrests was 1.7 million out of 170 million, i.e., 1%. What then explains this big difference? It is that under socialism, social stress was much less as people were living in a society where the basic needs of all citizens were generally met, and no one was filthy rich. But in the mind of anti-communist Kotkin, that issue does not come up. Kotkin is at loss to understand the repressions in the party, the military and the NKVD, which enforced the repressions. He thinks it was a result of paranoia in Stalin’s mind, and thinks that Stalin had so completely made everyone subservient to him that he could savage the very people and institutions that he created and helped him retain power and fight off the external enemies, and yet himself remain untouched! So, how is it that Stalin could modernize the USSR, develop science, technology, culture, industry and agriculture in a backward country and arm it to fight a modern warfare and defeat a country which was at least 50 years ahead in the same indices and whose attacks no other country had been able to resist, except for Britain until then? Britain escaped only because Germany lacked the Navy to match that of Britain’s, so an invasion was not possible. If seen from a class-conscious point of view as a necessary if a harsh remedy against real conspiracies, in which some of the conspirator’s highest-level party members, and some in top positions of the very agency, the NKVD, that was supposed to be investigating those conspiracies, all this seeming irrationality disappears! Kotkin does not even think this as a possible thesis. Kotkin writes: “Altogether, more than 100 of the highest-ranking Yezhovites were massacred— all of his deputies, almost all department heads in the center, almost all NKVD heads in Union republics and provinces.” No, Professor Kotkin, they were not “massacred”, they suffered capital punishment because they were guilty of violation of the legitimate orders from above, a violation of socialist legality! Yezhov had employed his subordinates in the NKVD for his own illegal repressions, in cahoots with the Rightist conspirators as part of the Rightist plan along with Hitler’s plan to destabilize the Soviet government. The Rightists also had ties to foreign intelligence. While Stalin did push Yezhov to find the “hidden enemies of the people”, neither Stalin or the Politburo directed him to kill or otherwise punish innocent people. What Stalin and the politburo could be blamed for is mistakes and insufficient oversight of the security services. But it is easy to say this now, when the danger of conspiracies and war have passed. Stalin should be held morally responsible for the excesses, the deaths of tens of thousands of innocents in the repressions, but only morally. Stalin could not be held responsible for ordering the killing of innocents as Kotkin says he did to become a “despot”. But if we are to hold Stalin morally responsible in this case, it should also be recognized that had Stalin acted less resolutely, dissension in the ranks may have allowed Hitler to succeed in destroying the USSR, and if not, at the very least, millions more people could have perished in war. Stalin’s alert and determined response to the dangers posed by the conspirators saved not only the Russian people, he saved Europe, if not the entire world by destroying the Nazi beast. The U.S.S.R. faced enemies on both its far eastern and its western borders, with Japan in the East and Germany in the West. Both had rapidly developed their economies and modernized their militaries in the first forty years of the 20th century. The U.S.S.R. also faced enemies in the two biggest colonial powers of the time, Britain and France, who had lost investments in Russia when the Bolsheviks took power and whose colonial empires were threatened by the national liberation commitment of the first workers’ state. The U.S.S.R. was the leader of the workers of the world, and thus the Third Communist International (“Comintern”) was very much influenced by the U.S.S.R. The Comintern was founded in 1919 after the fall of the Second International when SPD, its largest member, supported war credits for Germany. For this betrayal Lenin had denounced Kautsky, leader of the SPD, who until then was the heir apparent to Karl Marx. Germany and Japan had also signed an anti-Comintern pact in 1936, which Mussolini’s Italy also signed a year later. Stalin had offered France and Britain a mutual defense pact against Germany, but both demurred, hoping to direct Hitler eastward. The U.S.S.R. in 1936 or 1939 was not ready for war, which it barely was even in 1941. Stalin had told his party members in 1931: “We are fifty or a hundred years behind the advanced countries. We must make good this distance in ten years. Either we do it, or they crush us.” Faced with two powerful enemies, Japan and Germany, with no allies, the Molotov-Ribbentrop Non-Aggression Pact was signed in 1939, it was not an alliance that Kotkin falsely alleges, even when he is aware that Stalin had offered a joint defense against Hitler to both France and Germany and they paid it back by betrayal: they did not even ask Stalin to be part of the infamous Munich conference, part of Czechoslovakia was handed over to Hitler, while the Czech leaders had no voice in that decision! The Molotov-Ribbentrop pact was Stalin’s counter-move in response to that British and French betrayal and it bought needed critical time for the U.S.S.R. to prepare for the war. It bound Germany and the U.S.S.R. to not attack each other and provided for smaller countries acting as buffers, so no surprise attack could be launched by one on the other. Faced with powerful enemies on the two fronts, what did anyone expect Stalin to do? Sacrifice the country? Nor did it fool Stalin into believing the U.S.S.R. was safe after its signing, even though Kotkin and all previous bourgeois scholars want to portray him as a simpleton or as friend of Hitler. Meanwhile, war preparations in the U.S.S.R. went on furiously. Hitler violated this pact, and Operation Barbarossa was launched on the early morning of June 22, 1941, almost exactly 10 years later, just as Stalin had predicted. Kotkin includes Stalin’s 1931 quote in his book. However, his bias prevents him from seeing why the fast-paced heavy industrialization was launched in 1928, and for it to succeed, agriculture could not be left in the petit bourgeois mode of production – in small individual farmer’s hands. Stalin, the visionary Marxist, understood the harsh reality of foreign invasion was a given. Yet, Kotkin because of his ideological blindfold fails to see why Stalin was the only one who could lead the new socialist state through the highly perilous times that lay ahead for the U.S.S.R.
What Kotkin does better is explaining what led Hitler to attack the U.S.S.R. before trying to destroy Britain, once he started the war against Poland, France and Britain. Hitler, lacking naval power, could not invade Britain, and Germany’s economy could ill afford a long war, and needed the resources of Ukraine (grain and industry) and Baku (oil) to develop the naval power to defeat Britain, allied as it would be with the other giant, the U.S. He correctly assessed that Britain will not open a front against Germany while Germany fought the U.S.S.R., even after France fell. Hitler allowed Britain to rescue its pinned forces at Dunkirk, which he could easily have destroyed. It was his attempt at silent bargain with Britain, not to attack it from the west, while Germany was fighting in the east. So far, his calculation like the chess player who thinks of combinations was tactically correct. His grave strategic miscalculation was that he and his generals had convinced themselves that the U.S.S.R. could be defeated within four months by his superior mobile armed forces. But that miscalculation from the point of view of Berlin would not be obvious. The Great Purge had dried up Nazi intelligence operations in the USSR. Hitler’s Nazi Party had a mystical belief in the superiority of the German “pure Aryan” race and he lacked hard intelligence which could have alerted him to the extent of modernization that had taken place in the U.S.S.R. along with the extent of modern warfare capabilities. Hitler considered Russian mind as inferior. Hitler did not understand Marxism, nor does Kotkin. Nor is Marxism is based on Hegelian idealist dialectics, as Kotkin believes, but a materialist one, and has the power to radically transform the entire society in one generation, uplifting it, for common good. Kotkin believes Stalin had weakened his military by the purges among its officer. However, in reality, Stalin had strengthened his military by getting rid of those who were ideologically not committed to socialism – and instead had conspired to overthrow the socialist government. Zhukov, Vatutin, Konev, Chuikov, Rokossovsky, all were committed to the socialist cause. For Kotkin, what mattered was expertise and experience, but it is because he fails to see that this war front was as much ideological as physical. Hitler too had transformed Germany, but it was based on fascism’s inhumane racial supremacy ideology, not what Stalin had achieved in the U.S.S.R. Marxism, the new revolutionary social science, which Lenin had updated for the 20th century, was the constructive, humane ideology. It is why Germany lost, and Hitler had to commit suicide and Stalin became leader of half of the world by 1950. Kotkin ridicules Marxism and its language of dialectics, while marveling at Hegel’s foresight: “When Hegel famously referred to history as a “slaughter bench,” he had no idea what he was talking about, and yet he was right. Partly that was because of the influence of Hegel’s hazardous ideas on the Marxists: the sophistry known as the dialectic, the idolatry of the state, the supposed historical “progress” through the “necessary” actions of great men”. In Kotkin’s world, Hegel can be used where needed to discredit the communists, while denouncing his influence on Marxism. Judging from what followed, Marx was too optimistic. Those in charge of empires failed to learn. Grover Furr: ‘Blood Lies’ page 134 quoting Mark Tauger in ‘The Harvest of 1932 and the Famine of 1933’. Mario Sousa, ‘Lies Concerning the History of the Soviet Union’, p12.